When you bring your vehicle to Fisher Honda for paint repairs, we only use DuPont Cromax Pro. DuPont Cromax Pro is a waterborne basecoat which can be applied wet-on-wet until the correct color is achieved, eliminating the need for drying between coats. DuPont Cromax Pro provides a greener and more time-efficient process for paint repairs at Fisher Honda. When we use Dupont Cromax Pro at Fisher Honda, it allows us to match every paint color perfectly in only one coat, reduces waste, and gives us the ability to service more cars in less time due to its faster drying rate. Dupont Cromax Pro is a high-performance paint system that has proven to deliver exceptional results for our customers. At Boulder’s Fisher Honda, our qualified body repair technicians provide only the highest quality service. We understand how much customers depend on their vehicles, and our team of experts is dedicated to working hard in order to get your vehicle repaired and back on the road as quickly as possible. 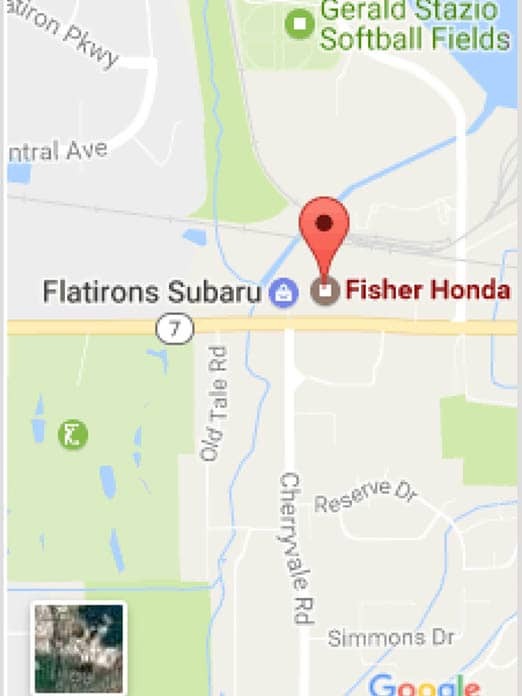 Not only does Fisher Honda repair Honda vehicles, but our collision center also services all other makes and models found on the road today. Our technicians at Fisher Honda work to industry standards and strive for perfection. Customers can feel comfortable knowing that all of our trained mechanics and body repair specialists at Fisher Honda are certified automotive repair technicians. At Boulder’s Fisher Honda, we have been serving the community for over 50 years. We strongly believe that going the extra mile and achieving customer satisfaction plays a huge part in our many years of success. We provide our customers with free and reliable shuttle service, car rental while your vehicle is being repaired, a free car wash with every service, and even coupons via email which can save customers up to 20% off of maintenance. At Fisher Honda, we give our customers peace of mind knowing that we are committed to providing guaranteed workmanship for as long as you own your vehicle. If your vehicle is in need of paint repair, bring it to Boulder’s Fisher Honda today.